MANILA, Philippines - Winners for the local elections in Metro Manila have been proclaimed on Tuesday, May 10 or just few hours after poll precincts closed. 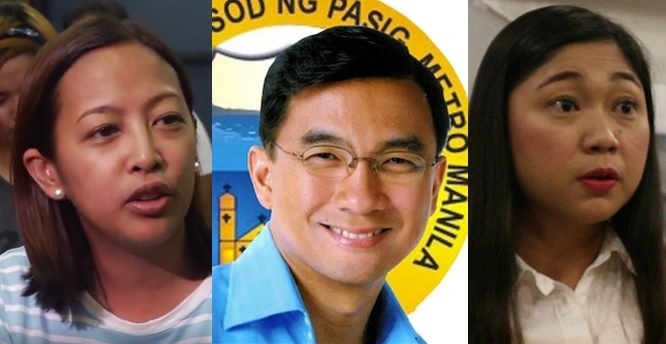 From Left: Abby Binay, Bobby Eusebio and Lani Cayetano are among the declared mayors early Tuesday. As of 9:00 p.m. all 17 mayors in the vote-rich capital secured their seats for the next term. This includes unopposed bets Jaime Fresnedi, Edwin Olivarez and Lani Cayetano for mayoralty; Celso Dioko and Ricardo Cruz Jr. for vice mayor. In Manila, Joseph Estrada toppled Alfredo Lim on their tight race for mayoral position. Meanwhile, Abby Binay is set to bring back her father's legacy in Makati as she won against incumbent Mayor Kid Peña.